It’s early 1967 and teen Hamilton is jumping with barely concealed glee. Claudelands Showgrounds is hosting two touring pop shows, C’mon ’67 and C’mon Spectacular, cashing in on the success of national TV showcase C’mon by bringing breaking and established pop acts into the city. Also on the bill are locals Kevin McNeil (late of The Mods and The Rayders), The Surfires (the Smith brothers from Huntly) and The Dynasty Group, frequent performers at the perennial Starlight Ballroom on Anglesea Street, Surf Centre in the Old Folks Hall in Clarence Street and at the Attic on Victoria Street. The Drifters, The Opposition, The Countdowns, The Silencers, The Rising Sun, The Debonaires and The Saynts are also active in town, as are R&B groups The End, Crimzin’s Blues, Swellsfoot Assembly and The Sound Investment. Cyclotron’s youth club “Mod Dances” are using city groups to draw teens to hall-based events in Hamilton East as dance nights sprout in the suburbs and the surrounding towns of Morrinsville, Te Awamutu and Cambridge. Over in Raglan, the nearest beach resort, The Poor Souls, an R&B group destined to morph into psychedelic mod act Tomorrow’s Love and release a searing acid single in early 1968, are biding their time and holding down a summer residency. In early February 1967, international hit makers The Yardbirds (with Jimmy Page), Roy Orbison and The Walker Brothers played two shows at Founders Theatre, the end of an incredible run of contemporary overseas pop talent gracing the city stages that started in 1964. With Auckland just up the road, a wealthy populous hinterland to draw from and the baby boom swelling the city’s schools and workplaces, Hamilton, at the heart of New Zealand’s fastest growing region, was primed for an outbreak of energy mad with the colour and electricity of the time. Auckland labels Zodiac Records and Allied International recorded Hamilton’s new music with the northern neighbour also providing touring and resident groups. All of this was fuelled by the baby boom generation’s emerging commercial power, and the impact of modern television and radio, as pirate station Radio Hauraki beamed in loud and proud from the Hauraki Gulf, drawing listeners and support from the region’s young, 500 of whom had already flocked to Founders Theatre in November 1966 to hear station director Derek Lowe speak. The city’s beat scene continued to swell through 1968 and well into 1969 on the back of competing promoters and the fast changing nature of the times. When the tumult settled in the early 1970s, a brace of long-haul Hamilton musicians remained. They took their music onto world stages and record shelves, leaving a string of New Zealand, Australian, British and American hits in their wake. Hamilton’s beat boom dawned in the wake of The Beatles, who swept over pop New Zealand like a tidal wave in June 1964. This left the showbands, who ruled the country’s dancehalls and clubs, floundering in their wake and hurriedly inserting Beatles brackets in their sets. 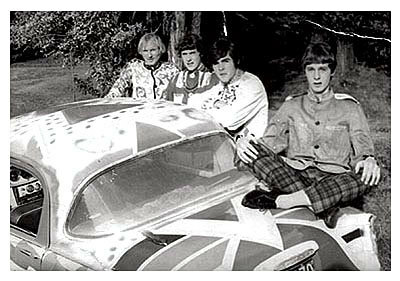 The overwhelming Australian and New Zealand success of Ray Columbus and The Invaders’ smash hit, 'She’s A Mod', was also important. A good case could also be made for the impact of The Beach Boys and The Surfaris, who headlined Founders Theatre in January 1964. Surf music was important, especially for a city that lies central to some of the island’s best surf beaches. Cliff Richard and The Shadows’ New Zealand tour in March 1961 also had an influence. The beginnings of many beat groups came from Shadows-influenced instrumental outfits who took on a vocalist. Sustained by the rise of local groups Wayne Reynolds and The Mods and Kevin Neems and The Fenders, and swelled by a city youth population growing at one of the nation’s highest rates, Hamilton venues were also making room for the new sounds and audience. The Mods, comprising Wayne Reynolds (guitar/vocals), Kevin McNeil (bass), Neil Reynolds (drums) and John Bisset (rhythm guitar, vocals), are one of the era’s best-remembered groups. 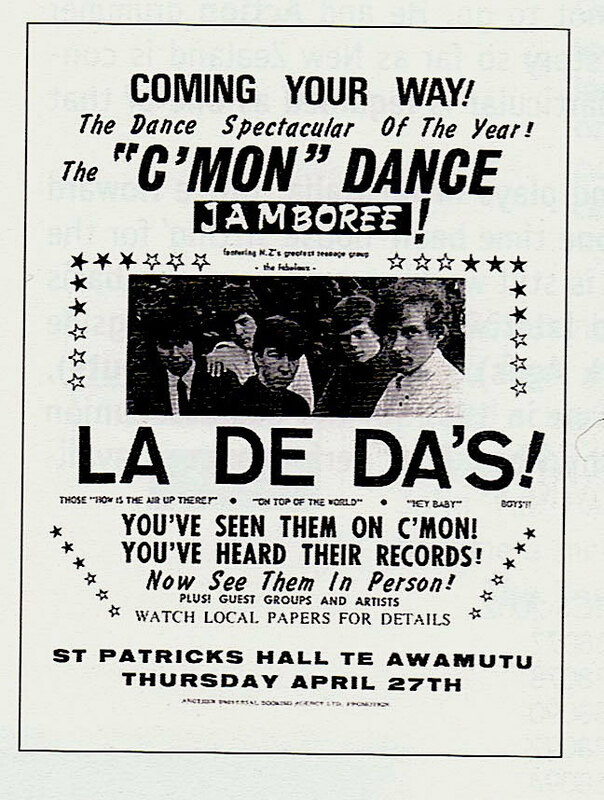 They featured at the Teenspot dance at Fairfield Park Hall from mid-1964. 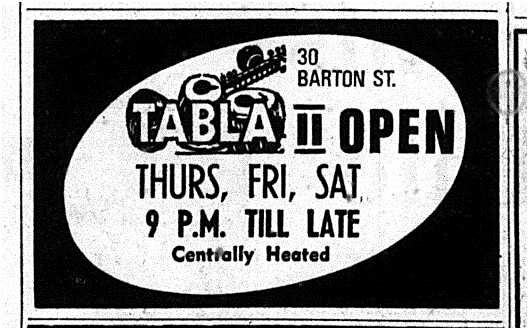 As did The Fenders, billed as “Waikato’s biggest Beatles band”, who graduated from hall shows to Charlie Lee’s Starlight Ballroom, the Anglesea Street dancehall that provided night time action in the city from 1953. The Fenders also launched the Eastside Ballroom in the Caledonian Hall on Grey Street in August. By year's end The Mods also wrangled a spot at the Starlight. None of this was happening in isolation. In addition to The Beach Boys and The Surfaris, international acts Roy Orbison, The Crystals, Ben E King, Gene McDaniels, Dee Dee Sharp, Billy J Kramer and The Dakotas, and Billy Thorpe and The Aztecs all graced Hamilton stages in 1964. Dinah Lee, The Confederates from Pukekohe, The Librettos from Wellington, The Bluestars from Auckland and Gordon Bari and The Blue Diamonds from New Plymouth also gained followings in the city on the back of return performances. On Hamilton’s main street, a preview of The Beatles’ movie A Hard Day’s Night screened in early August, less than a month after its British debut and days before it opened in America. On the small screen, regional television had pop shows and British and American drama. For all the prosperity at hand, I suspect teenage bank accounts in Hamilton were unusually depleted in 1965. Some of the best pop groups in the world made it to the Waikato river city that year: R&B acts The Kinks and Manfred Mann in early February; Bluebeat star Millie (Small) and crooner Gene Pitney mid-month; Cilla Black and Freddie and The Dreamers in March; The Dave Clark Five in June; Sandie Shaw and The Pretty Things in August. A strong dose of overseas star power, leavened by New Zealand’s best, including Ray Columbus and The Invaders, Dinah Lee, The Termites, Tommy Adderley, Allison Durbin, The Chicks, The Byrds, The Seakers, plus Lonnie Lee with The Rajahs, The Pleazers, Judge Wayne and The Convicts and The Defenders (the last four were Australian groups resident in New Zealand). Hamilton bands were also in serious demand with The Mods and The Fenders going strong at the Teenspot and Starlight. Chris Thompson’s The Paragons, formed in 1962, could also be found there and at Lugton Park Tennis Club. When Mike Henri’s 3 Musicians coffee lounge in the Embassy Theatre complex in Victoria Street opened to beat groups in June, it was The Mods and The Trends (out of St John’s College) on stage. In September, the city’s best groups got to strut it on the Founders Theatre stage at the Hamilton Pop Festival with Tommy Adderley and Sandy Edmonds. At month’s end, a new venue, the Sound Lounge, opened at 922 Victoria Street. Hamilton’s first beat singles appeared in 1965 – a take on Tommy Tucker’s 'Hi-Heel Sneakers' from The Fenders; and 'Love Love Love' backed with a fine beat group rendering of 'It’s In Your Kiss' from The Mods on Zodiac Records. While over at the pictures, Doctor Strangelove and Gerry and The Pacemakers’ Ferry Across The Mersey were showing. On TV, pop music shows were taking off, including On The Beatside and New Faces, which on August 7 featured The Pleazers. The same night, they played at 3 Musicians. The giddy aftermath of 1965 saw the city’s beat scene in a state of creative flux. The Paragons had disbanded, with Chris Thompson, John Donohue and Kelly Dodds forming The Dynasty Group with Eric Nalwork. Adding Ian Robertson on organ, they became regulars at the Starlight Ballroom. New venue, the Attic, advertised an “Animals sound” for their Friday dance night, which was held above Andy Shearer’s music and record shop, just north of the corner of Bryce and Victoria Street. Auckland beat pioneers The Rayders took up a residency at 3 Musicians in March, where they played the Top 10 and backed Miss Mod contests. When work drew them out of town they were subbed with The Mods and The Trends. The Mods bassist Kevin McNeil later joined The Rayders, who recorded the searing Who-like Mod anthem 'Working Man' backed with 'In Time'. The Trends – Robert O’Donnell (guitar), Greg O’Donnell (bass), Ken Murphy (guitar, vocals) and Sean Kelly (drums) – advertised themselves first as an R&B band, then as having a folk-rock influenced sound. They cut their teeth with hinterland shows in Morrinsville, Te Awamutu, Thames and Tauranga, before leaving for Auckland in mid 1966, where they became The Music Convention and recorded the soundtrack to one of New Zealand’s first surf movies, Children Of The Sun. The Mods' second single for Zodiac Records, 'Hubble Bubble (Toil and Trouble)' was credited in Waikato Times as a John Bisset original, but is actually a take on a rare Manfred Mann single with a Bisset penned B-side, 'I’ll Be On My Way'. The Mods soon gained a new singer in Clive Coulson (ex-Rayders and Dark Ages) and residencies in Wellington and Auckland, as well as backing group spots behind prominent New Zealand soloists. When a proposed Australian excursion fell flat, The Mods disbanded with John Bisset heading for Auckland and The Action, beginning a rock odyssey that took in Australia and England. In Hamilton, Kevin McNeil was busy with compere spots while Neil and Wayne Reynolds, as duo Ways and Means, took over the 3 Musicians residency from The Rayders after an unsettled period filled by handful of fly-by-night local and imported acts, including The Selected Few and The Undertakas. 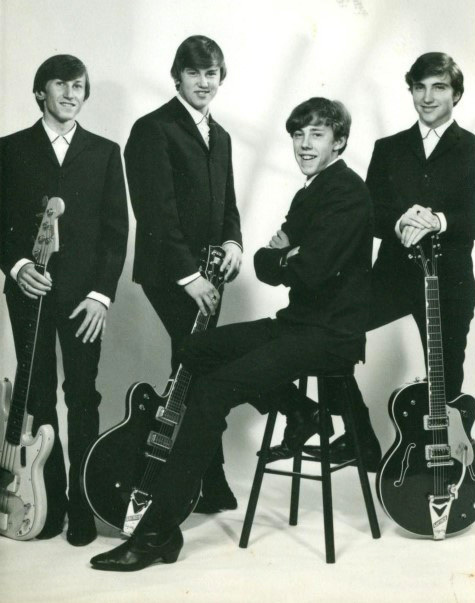 The Fenders also disbanded in 1966 with Mike Chibnall joining Herma Keil, Graham Hirst moving to Palmerston North and Dave Stone stepping out as a solo singer. Picking up the slack were new groups, including The Who-loving The Generation with Wayne Te Paa (drums), Ken Ireton (vocals), Morris Taylor (guitar), Mike Toal (guitar) and Sid Limbert (bass), who played the Sound Lounge, 3 Musicians and the Old Folks Hall. The End anchored the Cyclotrons dance at St Chad’s in Hollands Road with rising R&B groups The Opposition and The Roadrunner Sect. Out of town acts, mostly from Auckland, were also finding the city lucrative. The Soul Agents and The La De Da's, The Layabouts with Mike Leyton and Dave Russell, Larry’s Rebels, The Pleazers, The Chicks and Sandy Edmonds were some of the acts cutting it up at 3 Musicians and the Starlight Ballroom. Only two international shows of note made it to Hamilton in 1966. “The firecracker voice” of Millie (Small) brought the bluebeat. Jackie Edwards, “Jamaica’s Mr Excitement” and composer of Spencer Davis Group's December 1965 No.1 'Keep On Running' was also on the bill with Dinah Lee, Kerry & Allan and Tommy Adderley at the Founders Theatre in March. Australian beat star Normie Rowe had a weekend at the Starlight Ballroom with his powerful backing group, The Playboys, featuring former Librettos bass player Brian Peacock. Electronic media remained an active conduit for style and information in the city with music show Hullabaloo (Tuesdays 6.32 pm to 7.29 pm) joined on TV by The Avengers. Pop movies When The Boys Meet The Girls and Don’t Let It Get You played in main street cinemas. The biggest buzz came from the imminent launch of pirate radio station Radio Hauraki, which prompted an overwhelming endorsement of intent from a packed Founders Theatre in late October. The Waikato Times' lead story the following day had the headline “We will broadcast” and a full page ad followed on November 17. Yet for all that teen activity the biggest Hamilton-related hit came from Maria Dallas of Morrinsville, who had a monster hit with 'Tumblin’ Down', written by Jay Epae. Both stepped onto the Founders Theatre stage in December with Ken Lemon and Garner Wayne. The Poor Souls, a new R&B group from Ngāruawāhia and Hamilton, started 1967 at beach resort Raglan, pushing out a “pulsating rhythm and blues beat” behind vocalist Elizabeth Allen, sister of keyboard player Derek Allen. They took their show to Hamilton’s hinterland towns in the following months. Before breaking up in April, they also recorded an unreleased single of The Artwoods’ 'Things Getting Better' and The Knickerbockers’ 'Lies' for Auckland-based Allied International Records, the New Zealand imprint of Pye Records. Which got their guitarist thinking. Ron Jenkins, an Invercargill-born musician who made his way to Hamilton in 1966 via Timaru’s active rock and roll scene, saw a demand in the area for a more contemporary group. He grabbed Poor Souls organist Derek Allen and summoned Max Fletcher (bass) and Kevin Tonycliffe (drums) of Timaru’s The Boys. They called themselves Tomorrow’s Love and started building an act around the furious mod-pop sound currently rattling the British charts. Small guest spots at the city’s top gig, the Starlight Ballroom, and at the Crawdaddy Club (formerly the Attic) in November, flopped. Tomorrow’s Love were told their material was too far out so they added some hit parade covers and found a manager in Australian DJ Keith Ashton, who was in Hamilton on contract with radio station 1XH. Ashton checked out the band’s new image and sound and signed the boys to his regular dance at the Old Folks Hall in Clarence Street and at Fairfield Park Hall. They replaced The Sound Investment and Swellsfoot Assembly with an edgy, up to date set in front of ever-swelling crowds. They weren’t the only out of town group in the city that year. Larry’s Rebels, The Velvet Underground (from Tauranga), The La De Da’s, The Underdogs (on a tour organised by The Breakaways’ Bari Gordon) and The Pleazers featured at the Starlight and Frankton Town Hall and toured the Waikato. Local bands Dynasty Group, The Opposition, The Exit and Huntly’s Surfires established themselves at Surf Centre in Hamilton East’s Caledonian Hall, the Starlight Ballroom and the Crawdaddy Club. The Surfires went on to record at a string of singles for Auckland-based Zodiac Records, who had long cocked an interested ear on Hamilton, the nearest population base. R&B was still going strong with The End and The Rising Sun drawing teens to city halls. Venues continued to rise and fall, with the Rave Cave’s Monster Dance, featuring The Soul Agents, The Sound Investment and Organised Confusion, at Beerescourt Hall in Maeroa Rd in November. Only three international pop shows made it to the region that year – The Yardbirds and The Walker Brothers in February; Eric Burdon and The New Animals and Dave Dee, Dozy, Beaky, Mick and Tich, played Rotorua’s Sportsdrome with Larry’s Rebels and Jamestown Union in April; and Normie Rowe and The Playboys made a return appearance at the Starlight. But by then, it didn’t really matter. The Hamilton scene created its own energy. It was well served by New Zealand’s best groups, and a vibrant media fuelled by pirate radio, 1XH’s Bonanza with Keith Ashton, a weekly BBC rundown of Top Of The Pops, alongside highly influential TV shows such as the Saturday night live C’Mon. Remember that fiery mod pop group Tomorrow’s Love? They’re beatling around Hamilton in a psychedelic Humber, importing the latest records from England, building up a big Hamilton audience, and releasing their first record. After shows at Auckland’s 1480 Village and Galaxie Ballroom in late 1967, they recorded Love’s apocalyptic '7 and 7 Is' and The Artwoods’ 'What Did I Say?' at Astor Studios with top producer Wahanui Wynyard. With Paul McCartney lookalike Kevin Tonycliffe, singing, and Jenkins blasting out the song’s distorted guitar line, they change the ending of '7 and 7 Is' with Wynyard reversing the song’s atomic detonation finale. It’s a brave choice. This was not freaky harmony pop. It is a guitar band adding a fuzz box and trippy lyric to rave-up R&B, the sound of three transplanted Southerners and a Hamiltonian with a head full of bad acid and a hellhound on their trail. Except these guys had only ever read about LSD in the pop press. By mid-February, Keith Ashton had Tomorrow’s Love double-billing with Rotorua’s The Plague, then Auckland’s The Soul Agents on Friday and Saturday nights at the Old Folks Hall. With shows in Cambridge and Te Awamutu, and their first single out in April, Tomorrow’s Love began to build up an audience, with their attendance numbers threatening other city dances. 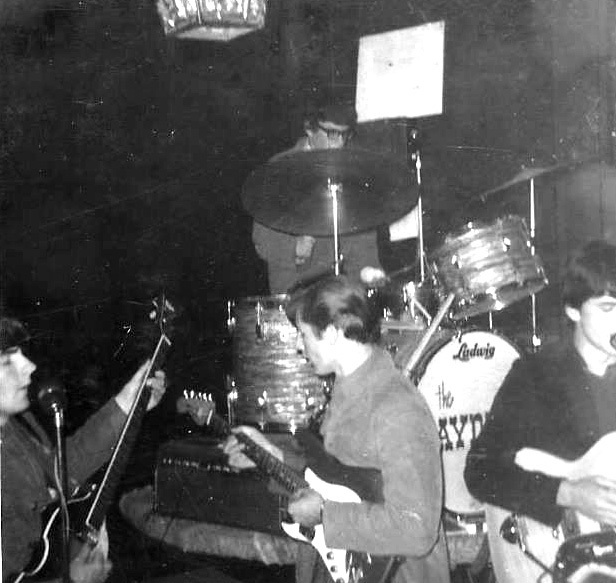 Their competition live was The Sound Investment, who recorded a solitary single for Zodiac Records in 1968. Then there was The Surfires, The Opposition, The Dynasty Group and The Exit, who locked down the Starlight Ballroom and Surf Teen Scene (formerly the Crawdaddy Club) dates. 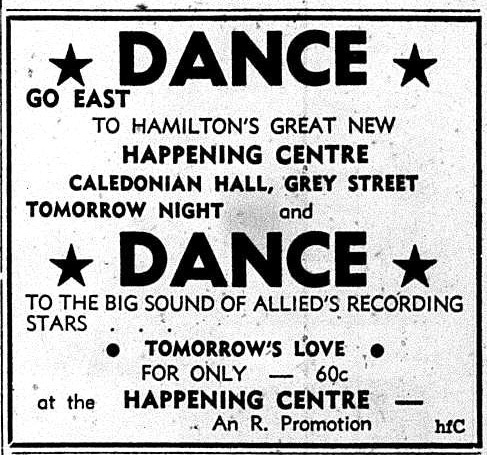 Tomorrow’s Love continued their surge well into the middle of 1968, opening a new dance at the Caledonian Hall in Grey Street with The Consumer Institute. Jenkins remembers Starlight promoter Charlie Lee getting worried and importing The Avengers to go head to head, but failing to draw the crowd away. Which prompted more counter-appearances by Auckland’s The Hi-Revving Tongues and The Clevedonaires and Wellington’s The Simple Image and St Louis Blues Movement at the Starlight Ballroom as competition heated up. When Keith Ashton left town, Ron Jenkins took over the Caledonian Hall as his key venue and the band wars began in earnest. This time, The Avengers performed for Jenkins, who also tempted the psychedelic House of Nimrod down from Auckland to go up against returning hometown boys The Music Convention at the Starlight. Tomorrow’s Love split mid-year after attempting a second single of 'Making Time' (their set closer and a minor British hit for The Creation) and playing one last sold out Old Folks Hall show, dripping with dried ice borrowed from the freezing works. By July, there was a new resident group at the Pop ’68 happenings in Grey Street – The Soul Band Movement – who often shared the stage with soul belter Little Miss Maureen and Swellsfoot Assembly, featuring Garth Porter, Paul Baxter and Marion Arts. On 19 July, Pop ’68 staged its first Battle of The Bands with compere Stephen Tate, The Soul Band Movement, The Dimensional Aspect and folk blues group, Z Bus Finn Dee, who also featured at the beat-influenced The Outside Inn on Knighton Road opposite Waikato University. The following night, Larry’s Rebels brought their psychedelic light show to town along with Johnny Farnham, Ray Woolf, Gene Pierson and Hi-Revving Tongues for Blast Off ’68 at Founders Theatre. They returned in August to the Starlight in a line-up that also featured Wellington bands The Fourmyula and The Simple Image. C’Mon, still going strong on TV in its second of three seasons, spun off the C’Mon ’68 live show with The Chicks, The Troubled Mind and Ray Columbus at the Embassy Theatre in September. The same month, Golden Disc Spectacular with Larry’s Rebels, The Simple Image and Blues Behaviour played at the Starlight and The Avengers returned for an extended Waikato stay. Meanwhile, The Soul Movement and Swellsfoot Assembly played the city’s halls, which also featured sets from The Current Affairs and Blues Behaviour. With a major market identified, and the North Island’s music industry already actively servicing it, it shouldn’t have been a surprise when Wellington promoter Ken Cooper established his Danceland ’68 franchise in Hamilton on October 11. The Avengers and Soul Band Movement were the first groups up at the new Friday night dance at the Caledonian Hall. 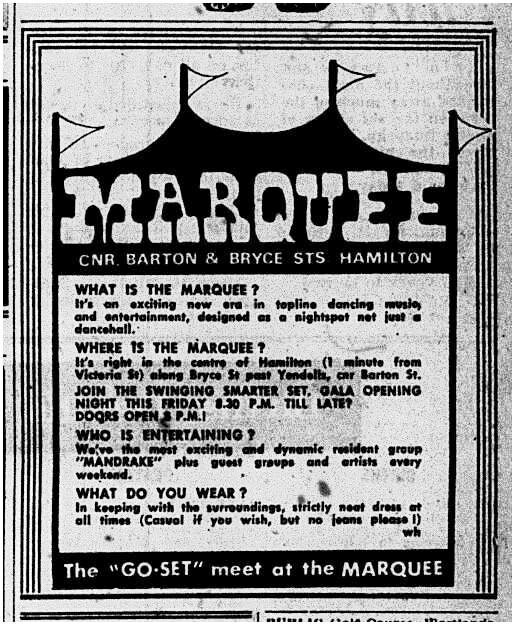 Cooper, who put together The Avengers with great success in 1967 to anchor his Wellington clubs, advertised for musicians to do the same in Hamilton before settling for Soul Band Movement instead. By year’s end, The Velvet Underground (lured over from Tauranga’s Aztec Nightspot), Auckland all-women group The Fair Sect, Larry’s Rebels, Allison Durbin, Rotorua’s The Shriek Machine, Wellington’s The Dizzy Limits and The Avengers and Hamilton’s Harlem, The Luvin’ Kind, Blue Behaviour and Porridge all performed for Danceland ’68 dances in Te Awamutu, the Caledonian Hall and the Old Folks Hall. The Starlight responded with Fourmyula, The Troubled Mind, Larry’s Rebels, Allison Durbin, The Simple Image, Vicky and Dicky, and The Underdogs. Many of whom had compelling records out. What a year that was! If the kids had any money left, they could buy Traffic albums at Beggs and Wisemans on Victoria Street or Muzicraze Record Bar in Frankton. Or catch Tim Murdoch and Wayne Parkes’ new surfing film sensation Out Of The Blue at the Carlton. Late teens with a political conscience also figured out that the times were a changin’. In early 1967, an angry anti-war protest held outside the Riverina Hotel targeting Marshall Ky, the visiting South Vietnamese leader, led to arrests. A year later, the Tet Offensive was on the front page of Waikato Times, which ran regular Vietnam War coverage. Closer to home, Radio Hauraki supporters rallied in February 1968 for the Big Beat Benefit Dance to help replace the pirate station’s broken mast and damaged ship. In April, a small article on the increase in drug use in NZ – LSD in limited amounts – indicated what was to come. It was also the year of the Wahine disaster and man’s first steps on the moon.